In the world of antiques dealing, there are minor calamities...like accidentally selling a rare engraving for $170 instead of $1,700. And then there are worse tragedies -- such as the chain of suspicious deaths among dealers in the weeks prior to the Rensselaer County Spring Antiques Fair. 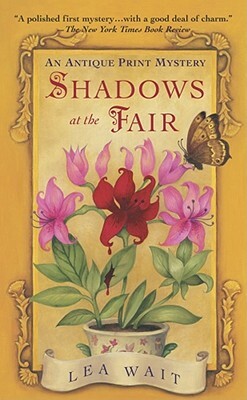 For Maggie Summer, owner of Shadow Antiques and an antique print expert, the threat of murder is far from her mind as she displays her treasures at the prestigious show. Though rumors abound, security is tight, and Maggie has been in the business too long to be easily rattled, she can't help observing her colleagues with fresh eyes. And when sudden death claims a victim in their midst, Maggie will race to stop a killer -- if she can distinguish those she suspects from the real deal.